Make any space work for you, no matter the size or shape, with Con-Tact Brands cut-to-fit versatile cork liner. Natural Cork cushion protects surfaces which makes it great for a wide variety of applications. Great for arts and craft projects, shelves, workspaces and bulletin boards. Perfect for drawers with cooking utensils as the cork liner buffers the noise. Con-Tact Brand Grip Prints are the perfect fashion solution for shelves and drawers. Available in trend and traditional patterns, the smooth, washable and water-proof surface is durable and protective while the cushioned grip backside stays firmly in place without adhesives. Definitely a step up from the normal Grip liner. Create visible, accessible storage space instantly with the Honey-Can-Do 5-Shelf Steel Shelving Unit. A contemporary chrome finish and 72-inch steel frame make this unit the perfect blend of style and functionality. Durable enough for the mudroom, garage or commercial kitchen, this unit is capable of withstanding up to 200 lbs. per shelf. Adjustable shelves and stackable components allow you to change the configuration as your storage needs evolve. Combine multiple units (each sold separately) to create a customized storage wall; the no-tool assembly allows you to construct in minutes a shelving unit that will last for years. 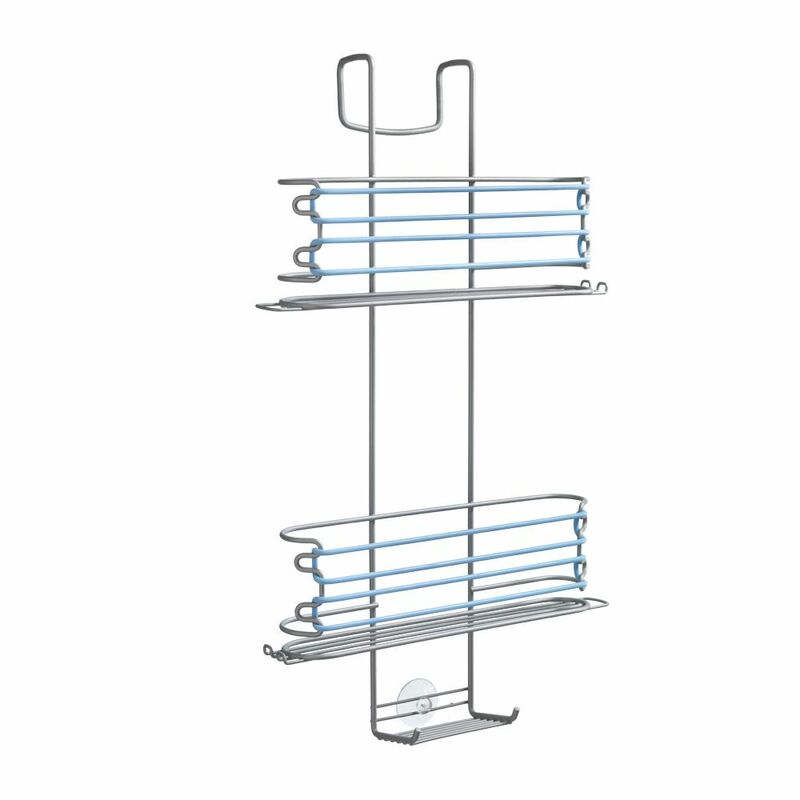 Butler 3 Tier Expandable Shower Extra-slim shelves with extra-large capacity. Holds bottles up to 12 cm wide. With 4 silicone bands in assorted colours (purple or light blue). With suction hook. Polytherm. "Frost" coated.